With an eye on regaining industry-level growth rates and to retain top talent, Infosys is sprucing up the capabilities of its core banking software Finacle and revamping the compensation structure of its sales team, according to media reports. 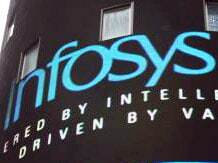 Infosys does not disclose revenue generated from its core banking product. The 6,000-people-strong Finacle unit is estimated to be a $300-million business that generates 90 per cent of its revenues from Asia-Pacific, Europe and West Asia. Infosys is also considering revamping its compensation structure for its sales force, according a report in The Economic Times. This is for rewarding top performers in proportion to their achievements. The new incentive structure, according to the report, will give credit to the incremental revenue — additional revenue generated during a given period — instead of the overall growth of the company. At present, sales people are treated as a team, and the variable payout is linked to Infosys’ overall performance. This new compensation structure is believed to kick in from the current financial year.